Will photographers ‘have a go’? The curtain has been lifted on the 2015 Australian Federal Budget, unveiling a multi-billion dollar small business boost, which will play to the advantage of professional photographers. A couple of components in the budget will benefit the profession, most notably the increase of the immediate tax deduction threshold, now sitting at $20,000 – a fairly large increase from the previous threshold of $1000. This became effective on budget night, and will remain in place until June 30, 2017. What this change in the ‘accelerated depreciation’ taxation method means is that photographers can purchase new individual assets of up to $20,000 and immediately write it off that year, provided the business doesn’t clear over $2 million annually. 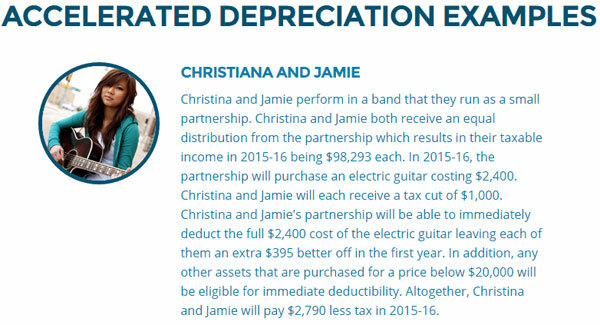 So for an incorporated (Pty Ltd) business, that’s a potential reduction of $6000 in company tax, and for a sole proprietor, a saving related to whatever tax rate they are paying on their income tax. This is exactly what the Federal Government hopes small business will do, to ‘have a go’ in the words of our illustrious federal treasurer, and splash some cash. Peter Eastway points out that many photographers finance (rather than purchase outright) expensive capital avquisitions, but they’d still be eligible for the immediate benefit provided it’s financed through ‘a loan or chattel mortgage’, and not a lease. He added that photographers planning to utilise the new measures should first discuss it with their accountant. Melbourne photographer, Bret Salinger, told Pro Counter he will take advantage of the immediate tax deduction, which couldn’t have come at a better time for his business. ‘I have a workhorse 24-70mm lens that might be headed out to pasture so am in the market for a replacement. I’m also eyeing another fast prime lens to add to my kit, so this decision could well see me making a purchase of lenses prior to June 30 to take advantage of the announcement,’ he said. Salinger enthused that the $20,000 threshold has also opened up other possibilities, such as a new high-end computer. Brisbane commercial photographer, Angus Martin, also said the break will ‘push him over the edge’ to purchase new photographic equipment and/or computers. But given how badly the previous budget travelled in the Senate, Martin says he will play it safe and sit tight until the policy is given the all clear. It does looks like it will be given the all clear as Shadow Treasurer, Chris Bowen, said he would support the measure in Parliament. But a show-stopper could be the government attaching the positive measures for small business with budget savings less acceptable to the Labor Party and other senators. But would they dare? . The Federal Government also announced a 5 percent tax discount for small businesses, starting from July 1, 2015. ‘They’re giving them (small businesses) something that will really motivate them to go and spend and buy things and grow their business and save their business and employ people and get cash flowing through the economy,’ Peter Strong from the Council of Small Business told the ABC. Peter Eastway was also optimistic about the benefits photographers should experience from the tax cuts. A new poll has been added to the homepage. Pro Counter wants to know if the 2015 Federal Budget has encouraged you to purchase new business-related equipment you otherwise wouldn’t have. This entry was posted in Business Issues, Top story by Keith Shipton. Bookmark the permalink.